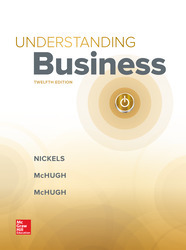 •What’s Covered: The comprehensive Gold Standard for Introduction to Business courses has been updated with many current examples and case studies from companies around the world. •Teaching Approach: Readable content integrated with unique digital tools engages students and simplifies instructor assessment processes. •What Makes This Product Unique: Mini-Simulations, business plan exercises, ISeeit and Manager’s HotSeat videos.